Download your free guide below. Peru—officially the Republic of Peru—is an extremely biodiverse country located in western South America, bordering the South Pacific Ocean between Chile and Ecuador. Once the land of the great Inca Empire and later the vice-royalty of Spanish South America, Peru is home to a wide variety of ecological and social environments, which create an endless amount of cultural diversity within the country. 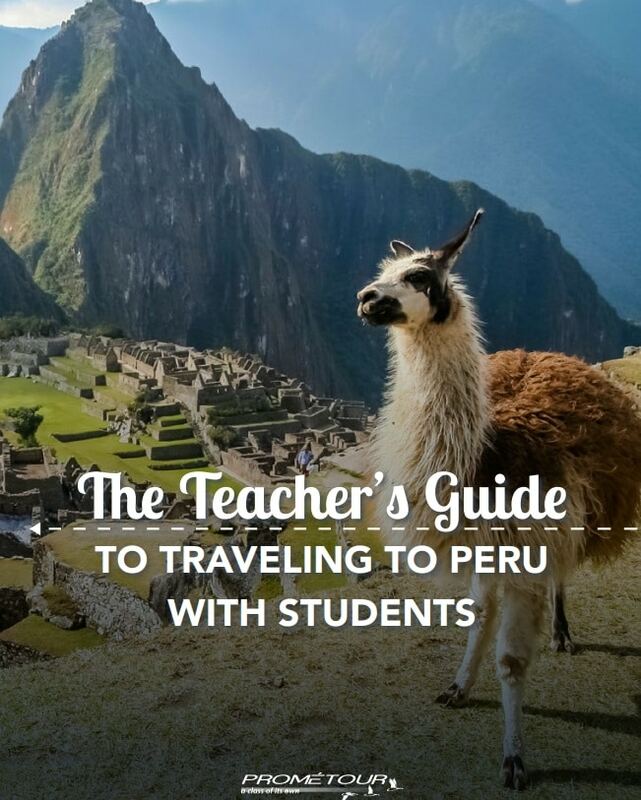 Peru is a popular travel destination for teachers & students thanks to its ancient ruins, diverse ecosystems, and fascinating yet mysterious culture. Imagine learning Spanish in one of the most beautiful locations to be found in Latin America! Begin planning your educational student tour to Peru today! See what Peru has to offer. Sample Itineraries of Educational Student Tours to Peru. Travel tips for you and your students. Answers to all your important questions. How to make your trip a reality. Fill out the form to the right to have your free copy of this guide delivered straight to your inbox.